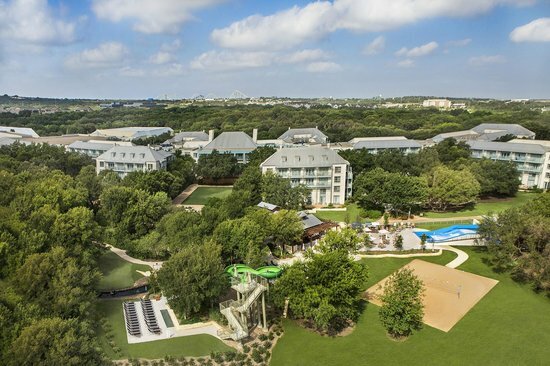 Formerly the Rogers-Wiseman Ranch, which, at its peak, for near 3,000 acres, is now the grounds of the Hyatt Regency Hill Country, just outside the city center of San Antonio. Originally settled as a ranch in 1887, D.G. Rogers put his son Henry in charge of 52 acres. Henry married Mary Feldtmann, aka Aunt Mary, and they had a daughter, Blanche, who was born on the ranch in 1903 and died here 79 years later. However, D.G. passed away shortly after Blanche’s birth and left her the entire ranch. In 1933, Ed Wiseman arrived on the ranch, eventually marrying Blanche. The ranch was nicknamed “Papa Ed’s” ranch. 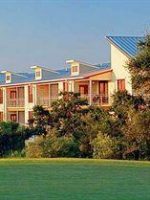 The family continued to maintain the ranch until 1990, when 300 acres were sold to the Hyatt Regency Hill Country, which developed its resort around the Rogers-Wiseman family legacy. 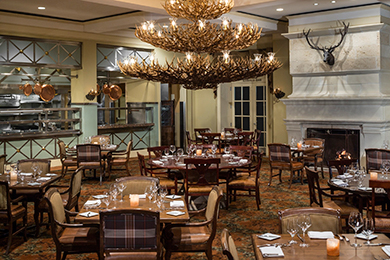 Its restaurants and buildings bear the ranchers familiar names, and a ranch theme is predominant in the Hyatt’s decor, furnishings, meals, and activities. 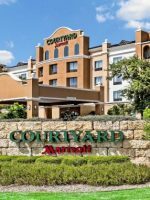 In the last 20 years, the Hyatt has become a popular destination for families visiting San Antonio and its SeaWorld, the largest of its theme parks in the country. 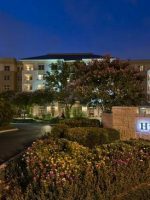 A variety of room options are offered at the Hyatt Hill Country, including double beds and one-bedroom suites with pull-out sofas and dining tables. Rooms come with flat-screen TVs, mini-fridges, and free Wi-Fi. Rollaway beds are available upon request. Regency Club rooms include concierge service and a lounge serving breakfast and evening snacks included in the price. Access rooms are "easy access" and located on the first floor. 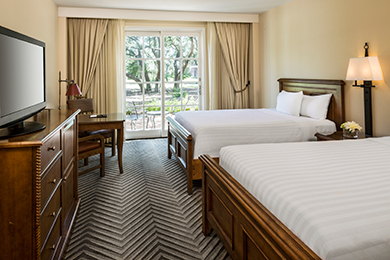 Preferred rooms are also on the first floor, but include desk space. This hotel was like a dream! It was amazing! The staff was kind and helpful. Lazy river was very nice. You could borrow bikes and there was a playground so the kids had fun. Rooms were big with many amenities. Wave rider and slide were fun. My husband and I had one of the worst expierences. The room we were placed in had a horrible bed frame. Every time we made the slightest move it made noises. The friendly maintenance tried to fix it but then our room was filled with wd40 chemicles and still made noises. I went to the front desk to ask for another room & received no apology or help moving our luggage. The new room was next to the elevator which made a ffrequent loud noise. Upon check-out, I finally received an apology and our nightly rate was decreased. We had 2 nights scheduled but were so uncomfortable we left 1 night early. Open from 8 a.m. until midnight, a five-acre water park consists of a main pool connected to a lazy river and is definitely an oasis with little nooks tucked around trees and even a beach. Inner tubes are plentiful, with smaller tubes for smaller tykes, and the river remains at around 4 feet of water. The larger activity pool has water basketball in one section and water volleyball in another. The water park area also has waterslides, a FlowRider wave machine and restrooms for guests. A kiddie pool is available for little ones, mainly toddlers and infants, though it is on the smaller side. An adult-only pool is far removed from the noise and chaos. 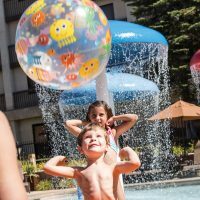 Kids ages 3 through 12 can participate the Hyatt's camp-like program, with indoor and outdoor activities planned daily. Morning, afternoon or full-day sessions (all for additional cost) can include lunch (additional fees apply), and evening dinner programs are available from 5 to 9 p.m. to bring kids together while parents enjoy a quiet dinner. Twenty-four hours notice is requested. The resort's 27-hole golf course is a big lure for players with or without families. 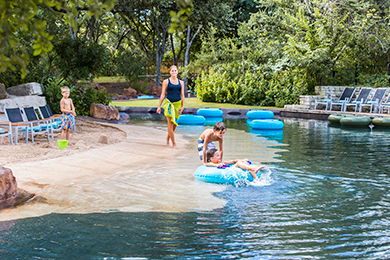 It is one of the few resorts providing free kids play. Kids 16 and younger can play free with paying adults before Twilight sessions begin (1 p.m. in the off season and 3 p.m. in the peak season). Lessons are also provided. The family-friendly resort prints out its weekly activities menu to help families plan out their resort time. Typical schedules may include evening S'mores, movies on the lawn, face painting, family kickball, and sing-a-longs. Most activities are free, although those that are additional are well-advertised so you won't be surprised. Bikes can be rented daily from 9 a.m. to 6 p.m. to enjoy the grounds. A full playground is located near the pool, built on sand for a beachside feel. Shady benches are available for parents to sit on while kids play. Pat's Playground is open from 8 a.m. until dusk. 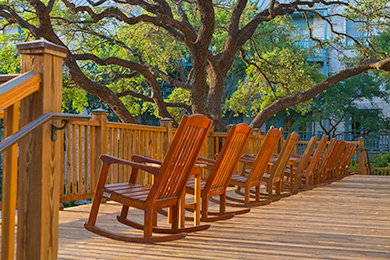 Modeled after an old-fashioned Texas lodge, where hunters could come together after a long day, Antler's Lodge is the epitome of Hill Country. Open for dinner only, resort casual attire is required and reservations are strongly recommended. Located at the 19th hole of the championship golf course, the tavern provides a place to refuel with salads and sandwiches after a day on the links. Located in the lobby, grab your morning cup of Joe or an afternoon ice cream cone at this quick-service food sight. Gourmet coffees, cappuccino, espresso and juice drinks are available, as well as pastries. A "springhouse" was a place to keep dairy and meat before refrigeration, in places where cool, natural springs emerged from the ground. Now the structure has been converted into a restaurant for breakfast, lunch and dinner. 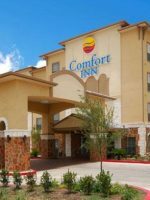 Texas-size buffets and a la carte menus are available with Hill Country and Texas specialties like BBQ, of course. Located poolside, grab a spot at the restaurant or have your lunch or dinner served to you at your pool chair. Kids can nosh on PB&J and quesadillas, and parents can enjoy some BBQ and sandwiches. Everyone will want to start with chips and queso dip. Open daily for dinner and also for lunch on weekends, Charlie's Long Bar is a good option for families who want that relaxed, sports bar setting. Enjoy American fare and drink specials. After 10 p.m., it becomes adults-only. With mini-fridges in each room, you can stock your room with drinks and snacks from the ground-floor General Store. It also serves up breakfast bagels and meals, and sandwiches and pizzas for lunch and dinner. Valet parking is offered, but a word of caution. When pulling up to registration, it is not clear that any other option is available and you may end up paying more per day to have the car valet parked. There is self in/out parking, and with the expanse of the resort, we didn't mind the expense. Babysitting services can be arranged through a recommended agency that is not affiliated with the Hyatt. Contact concierge. Texas in the summer can be stifling hot and humid, and it means perspiration can occur within moments of stepping outside. The best time to visit the resort is in the spring and fall, where temperatures are, well, more temperate. Babies Travel Lite is also in partnership with Hyatt so families with infants do not need to bring diapers, formula and baby food. Instead, order online pre-trip and find all the items in your room upon arrival. 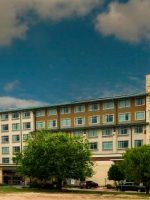 The Hyatt Regency Hill Country is about 20 minutes from the center of San Antonio, as well as the San Antonio Airport. If coming from Dallas, it's a five-hour drive and an easy shot from I-35 to 410. Just a couple hours from Houston, follow I-10 West to 90 West. The resort is off the SeaWorld exit and just across the highway. Visit the onsite Windflower spa for a relaxing massage or body treatment. The spa also has a wellness bar serving smoothies, teas and snacks to help you feel rejuvenated. If you can set up a babysitter for the kids, head to Charlie's Long Bar -- it's adults-only after 10 p.m.